As one of the largest package delivery and logistics companies in the world, one of our newest iBwave customers came to us wondering how our software could improve their existing process for deploying and managing their many Wi-Fi networks across thousands of their facilities around the world. Wi-Fi Design Strategies in a Converged World Webinar: Your Questions Answered. We had an amazing webinar on “Wi-Fi Design Strategies in a Converged World”. Our guest speaker Ronald van Kleunen, CEO of Globeron did a great job discussing why it’s important to understand the impact of convergence while designing high‑performing Wi‑Fi networks and how different wireless technologies can work together. Andrew von Nagy, Wi-Fi Expert and Owner of Revolution Wi-Fi was the guest speaker at our very successful webinar on “Designing High Capacity Wi-Fi Network’s”. The webinar also featured a Demo of iBwave Wi-Fi’s Capacity Planning capabilities by Sr. Manager Technical Product Management Marc-Antoine Lamontagne. During the webinar we received a large number of questions from attendees, some of which Andrew and Marc-Antoine were was able to answer live. However, we did not have time to answer all of them. This week Marc Antoine and Vladan Jevremovic, Research Director, iBwave took some time to address some key questions asked during the webinar. Read on and let’s keep the discussion going. We just had a great series of webinars on a cure for your project management woes. It was fun and educational! (The dream scenario of every teacher and parent.) We covered some points of contention we face in the world of wireless network deployments. 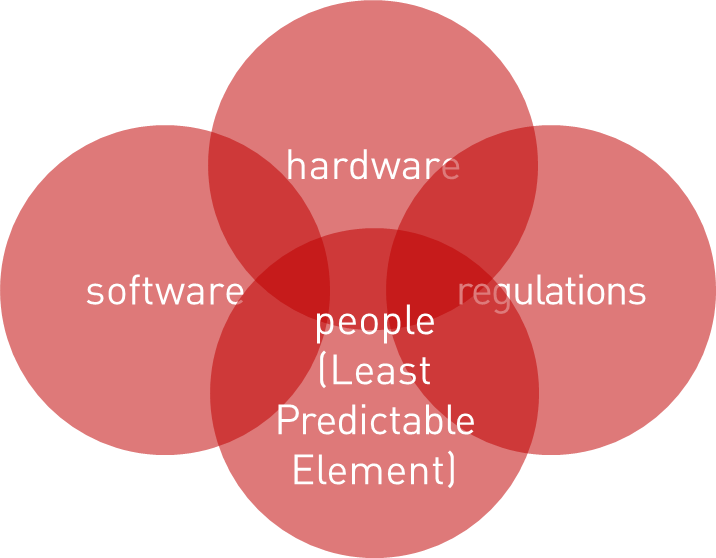 Not least of which are the dreaded “4 Pillars of the Project Apocalypse” – Software, Hardware, Regulations, and People! In our most recent deep dive webinar, we took a detailed look at how we can design optimum networks for shopping mall environments. As of 2014, 934 stadiums worldwide have 30,000 or more seats: 228 in North America; 129 in Central and South America; 243 in Europe; 98 in Middle East and Africa; and 236 in the APAC region. The USA alone has 217 stadiums with 30,000 seats or more, and about two thirds of these are used primarily for American Football. Most subway routes in core urban areas are located deep underground, where macro cellular coverage is non-existent. In big cities worldwide, hundreds of thousands of commuters depend on the subway (or Métro, MTR, MRT, U-bahn, Underground, etc.) on a daily basis. They need dedicated wireless networks to stay connected. First responders also need reliable public safety networks in subways stations and tunnels. Subway systems are one of the most challenging environments for wireless network design. A business campus is the home away from home to millions of busy professionals around the world who increasingly demand constant and seamless connectivity.